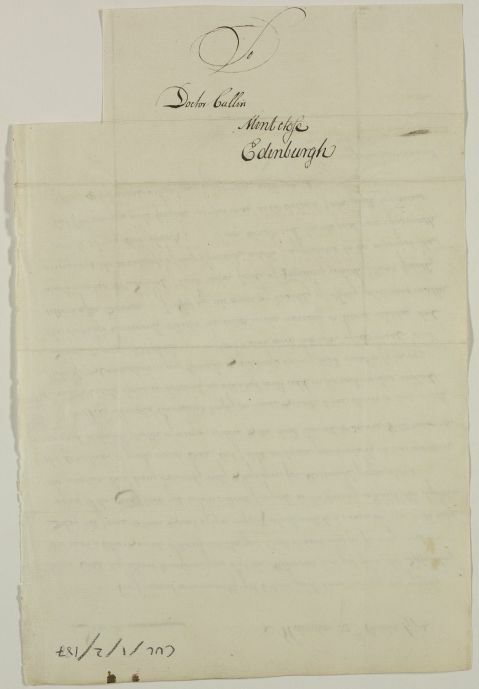 Letter from James Garthshore of Alderston concerning the progress of his own case and his treatment by John Lamont. 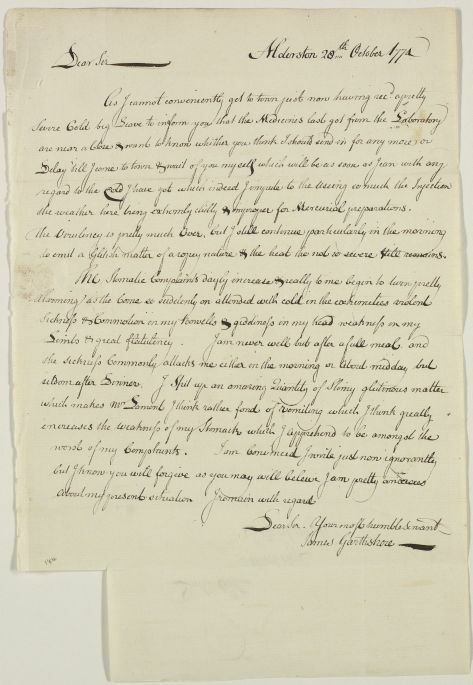 Summary Letter from James Garthshore of Alderston concerning the progress of his own case and his treatment by John Lamont. Case of James Garthshore whose has stomach complaint. the weather here being extremly chilly & improper for Mercurial preparations. to emit a Glitish matter of a ropey nature & the heat tho not so severe Still remains.